Ellex® invites you to join us in San Diego for the 2019 meeting of the American Society of Cataract and Refractive Surgeons (ASCRS), 3-7 May. Visit the Exhibit #1421 to preview Reflex™ Technology for the treatment of debilitating floaters – and learn how you can treat floaters with the clarity and efficacy that comes with True Coaxial Illumination. Also on display will be the new Ellex Eye Prime™ array annular ultrasound, which allows you to visualize the entire vitreous, in perfect focus, from posterior lens to the retina. Matched with Reflex™ Technology from Ellex, it provides the perfect partnership for the visualization and treatment of floaters. Proven to be safe and effective, Ellex® Reflex™ Technology for Laser Floater Treatment can significantly improve a patient's perception of their everyday visual functionality and provide them with much-needed relief from eye floaters. Once considered a benign part of the aging process, an increasing number of patients are complaining of floaters and the debilitating impact they have on their quality of life. With the introduction of Reflex Technology, you are now able to offer treatment to your symptomatic floater patients with greater safety and efficacy than ever before. Reflex Technology makes focusing highly accurate and provides a safe and effective laser-based option to reduce or eliminate the visual disturbance caused by debilitating floaters. Visualizing floaters and assessing their position relative to the lens or retina, has never been easier;True Coaxial Illumination provides a full view from the cornea to the retina along with much-needed spatial context. Move effortlessly between on-axis and off-axis viewing to visualize floaters in the anterior and posterior segments with greater accuracy than ever before. Higher-power density and precisely controlled plasma formation ensures that fewer shots are required to effectively treat floaters. Stop by the Ellex Exhibit #1421 to meet LFT expert Dr. Inder P. Singh to discuss his treatment pearls and surgical tips for Reflex Technology in the treatment of floater patients. 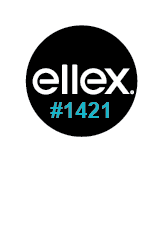 While at the Ellex Exhibit #1421, speak with one our representatives about recent updates to coding and reimbursement for Laser Floater Treatment – and the positive impact this can have on your practice. Note: these sessions are not affiliated with the official program of the ASCRS. At Ellex, we’re proud to be helping to shift the focus to improved patient quality of life through the proactive management of debilitating floaters. Visit us at Exhibit #1421 at ASCRS 2019 to learn more. The new Ellex® Eye Prime™ combines large apertures, unique time gain compensation (TGC) presets and deep focusing in 12 MHz mode to present the retina, optic nerve and extraocular muscles in superior detail – enabling you to better visualize vitreous floaters. In an industry-first, Six-Ring Phased Array Annular Technology transmits and receives ultrasound waves from six concentric transducers to enable you to focus anywhere in the posterior segment – and beyond. Refocus and enhance every pixel in 1mm incremental steps to optimize examination for all patients, regardless of orbital size — and take your ultrasound capability to the next level. At Ellex, we’re proud to preview the industry’s first Six-Ring Phased Array Annular ultrasound system. Visit us at Exhibit #1421 at ASCRS 2019 to learn more. Performed as a stand-alone procedure or as an adjunct to cataract surgery, iTrack™ canal-based glaucoma surgery flushes out the natural outflow channels, without damaging tissue, and without leaving behind a stent or shunt. Designed to re-establish the eye’s natural outflow drainage system, iTrack accesses, catheterizes, and viscodilates the trabecular meshwork, Schlemm’s canal, and also the distal outflow system, beginning with the collector channels. As an added benefit, it can also be used in conjunction with other MIGS devices or treatments — and, as an atraumatic, angle-sparring procedure, it does not preclude future treatment options, including angle-based surgery. Meet Mahmoud Khaimi, MD (Dean McGee Eye Institute, University of Oklahoma) at the Ellex Exhibit #1421 to discuss his clinical tips and surgical pearls for iTrack canal-based glaucoma surgery. Our team of clinical experts will also be available to host hands-on Wet Labs. MIGS experts Dr. David Richardson, Dr. Mahmoud Khaimi, Dr. Mark Gallardo, Dr. Inder P. Singh and Dr. David Lubeck will host a hands-on skills transfer lab during ASCRS 2019 to share their clinical pearls and surgical tips for iTrack canal-based glaucoma surgery. Note: this session is hosted as part of the official program of the ASCRS. The session is listed in the program as STL-20, MIGS, Part B. At Ellex, we’re proud to be helping to shift the glaucoma treatment paradigm towards proactive patient care. Visit us at Exhibit #1421 at ASCRS 2019 to learn more.